Can you please try to re-embed the form in your website. But this time, please try using the iframe code in the embed method. Try this if it works. Please inform us the issue persist. I put scrolling to yes and i have enlarged the height to ten more pixels. i am right now uploading it to the server, i do not have a iphone myself, this is just some feedback from a fella that i know. thank you, but i do nt know if it will be resolved yet, will keep you update, if my friend is not busy with his iphone he will come back to me for that feedback. Thank you for your fast-reply and will keep you updated. You were right. 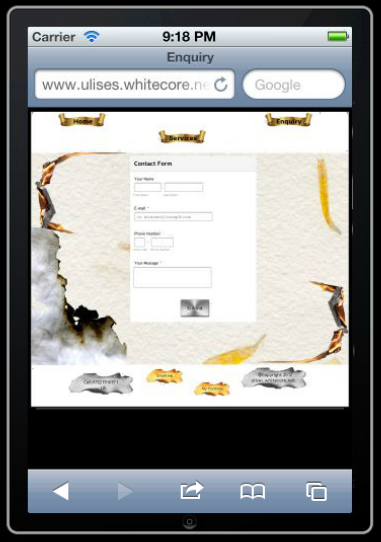 The form was using the iframe code already. (sorry did not see that initially). Yes, adding to scrolling to 'yes' and increasing the height could probably fix the issue. You can also try checking your deployed website/forms on a cross-browser testing site such as browserstack.com . This way you can handily see how your forms applied. Will wait for your update. Seems to be displaying correctly now. Previously, it was cut-off and button submit will not show. oh thank you, did u get that screenshot from the browserstack website? it looks to good now. i tried it mate but it was taking too long, dunno why, i just gave up on it. thank you. however, I will let you know anything else regarding this issue. good to know that you got that one from that model in particular. and i managed to get the outcome very very quickly. maybe you could suggest this one? just a suggestion, it goes fast, very fast. Yes, that site was indeed faster (I guess because its purpose was for iphone emulation exclusive only). I tested your form on the site and it display properly also. I guess this confirms that the form issue was resolved already. Feel free to contact us again anytime should you require assistance on JotForm. how can i receive email to my personal email-address to then go to jotform. I hit the submit button myself with another account to see if i get the email notification in my personal email inbox but i got nothing. am i missing something? is that issue that data cant be saved ? it doenst look so difficult to complete/follow the instructions. any suggestion? I checked your form, it lacks the email address required in the Notification email. 6. On the sender field, put 'noreply@jotform.com'. 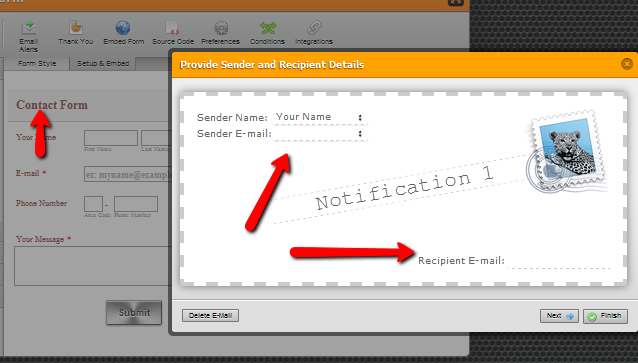 In recipient e-mail you have to put the email account/address where you want to recieve the form submission messages/notifications. Hope this help. Please inform us if further assistance is needed. is there any help or suggestion to accomplish this please? i would like to receive email-notifications in my personal inbox, otherwise i may forget to from time to time check jot-form emails from submitter. It seems the form email was still not updated. Please see screen. The required data are not available. Please try correcting this... or much better, try deleting the current email notification and just create a new one to start it fresh. I followed the instructions but it still not working, i deleted the notification email and went from scratch and hit the submit button but nothing received in my inbox, however, the test works out very well. i would defo like to use this email address instead of any other. I just check your contact form and found no Notification on it. 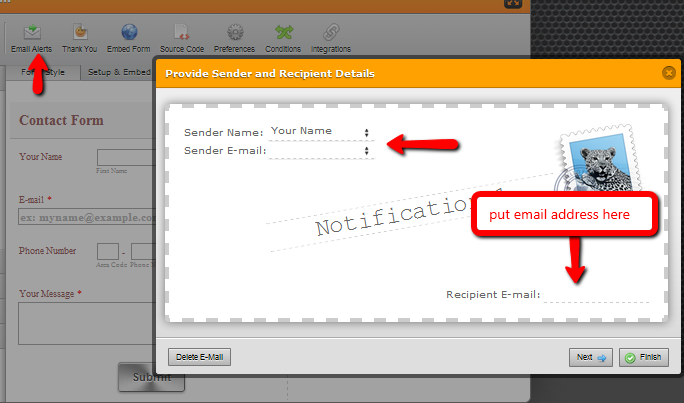 Can you please try to set it up again, make sure to set noreply@jotform.com as the sender e-mail. Update us here if the problem still persist so that we can further assist you.